Peter shares his knowledge on various hobbies and life experiences including sports, travel, photography, web marketing and more. Almost everyone has been to and eaten at a McDonalds. But how many people from one country have had the opportunity to have McDonalds in a different country? I have had that opportunity and it has opened my mind in some ways to how international business works. 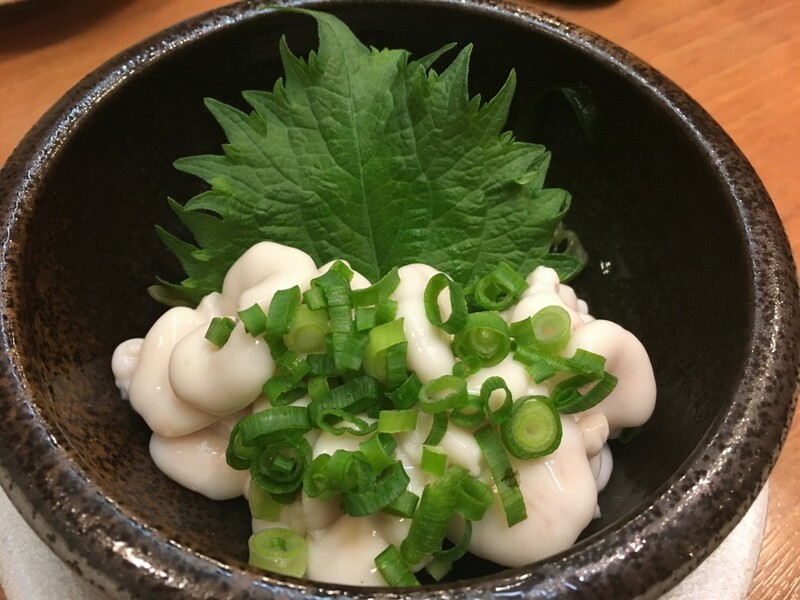 I would like to share some of the differences I have noticed between Japanese and American McDonalds such as unique menu items, size of the meals, and the atmosphere of the restaurant. But before that, I would like to start with a little history of McDonalds in Japan along with a little bit about how I came to experience McDonalds in Japan. A new, very stylish McDonald's in Japan. Would you visit McDonald's in America if they looked more stylish like this? 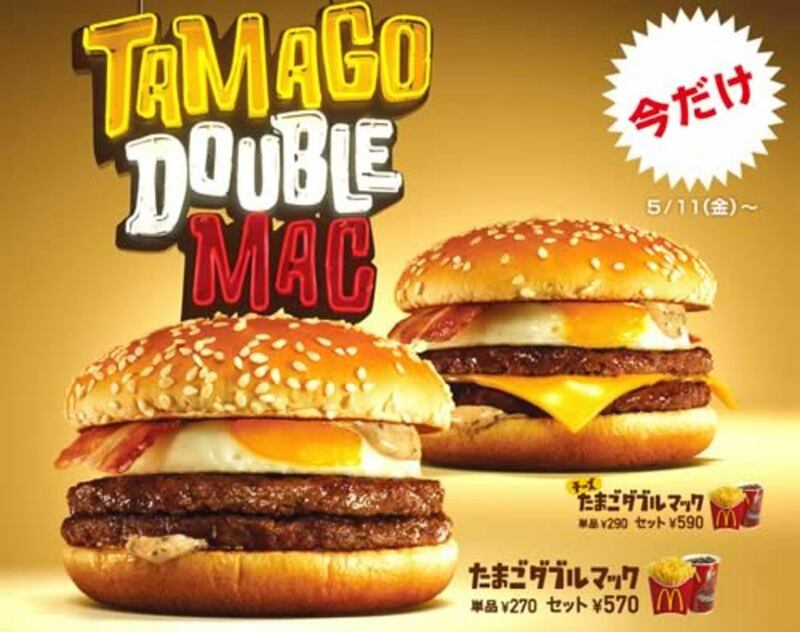 Tamago Double Mac! Tamago is Japanese for egg. Looks delicious! In 1971, McDonalds was already running strong in America. But internationally they had only a few restaurants in countries such as Canada. 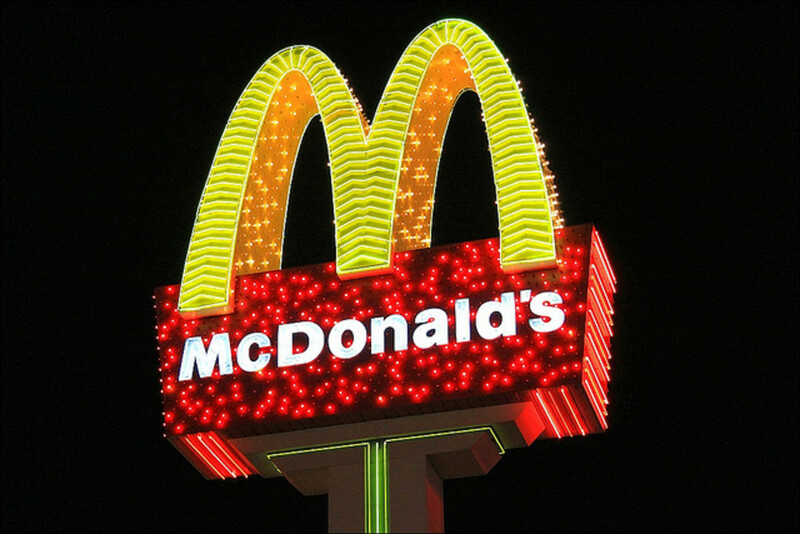 However, that year the first McDonalds was opened in Tokyo, Japan where it quickly became hugely popular. 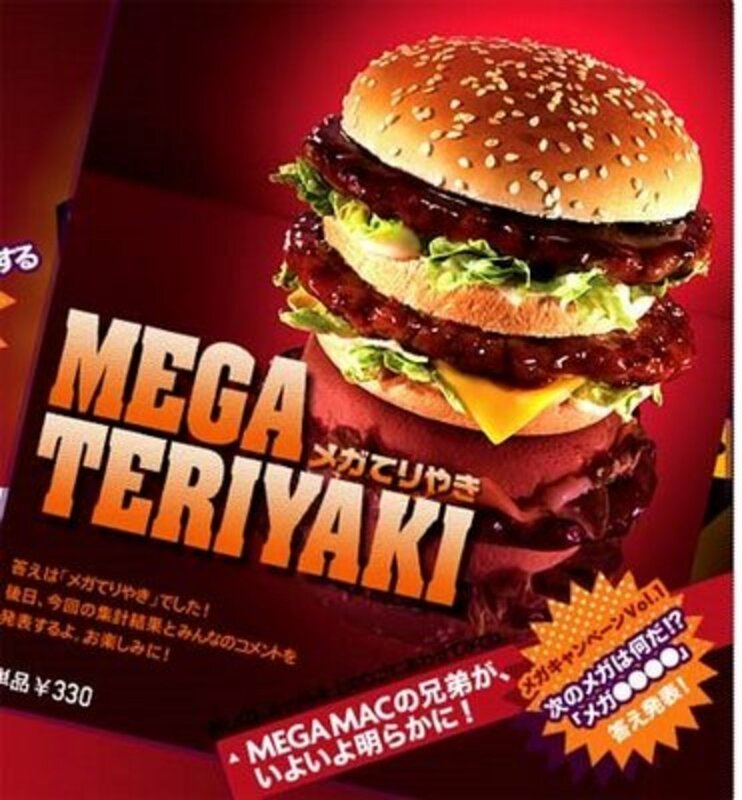 Soon after McDonalds opened there, Japanese companies started to join in on the fast food business. Yet, because of McDonald’s first mover advantage, they kept ahead of their competition. McDonalds employed an aggressive strategy of starting several hundred new restaurants every year. 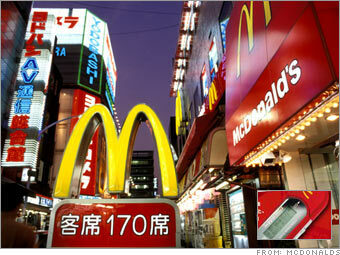 Today, Japan has the second most McDonalds restaurants in the world at about 3,600. 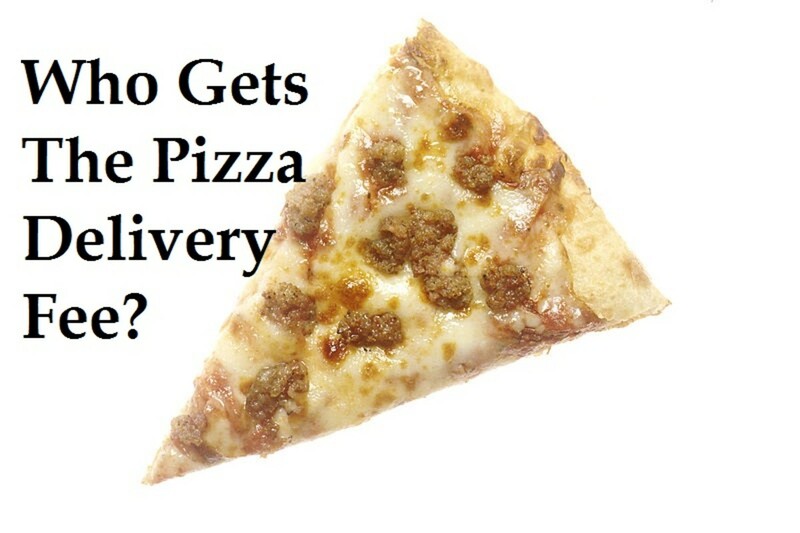 They have a goal of reaching 10,000 restaurants by 2020. 2001 was the year I first experienced McDonalds in Japan. It was also the year that my family and I moved from Texas to the small Japanese island of Okinawa. Since then I have lived in Japan, only now spending my fall, winter, and spring in college in America. I have had many opportunities to eat at Japanese McDonalds and from the time I first stepped into one I knew it was different from an American McDonalds. To begin with, I want to look at the menu differences. Most people have a basic knowledge of what McDonalds here in America sell. Items such as the Big Mac, Quarter Pounder, Happy Meal, Chicken McNuggets, and McFlurry are well known items. These items exist in Japan, but a variety of other exotic items are also available. Burgers such as the Mega Mac, Bacon Lettuce Burger, Teriyaki McBurger, Ebi Filet-O, and McPork are quite common and popular in Japan. I am amazed at the vast difference in just the burger menu items between America and Japan. McDonalds has found a way to tailor their products in Japan to fit what the Japanese people want while keeping the McDonalds feel of things. 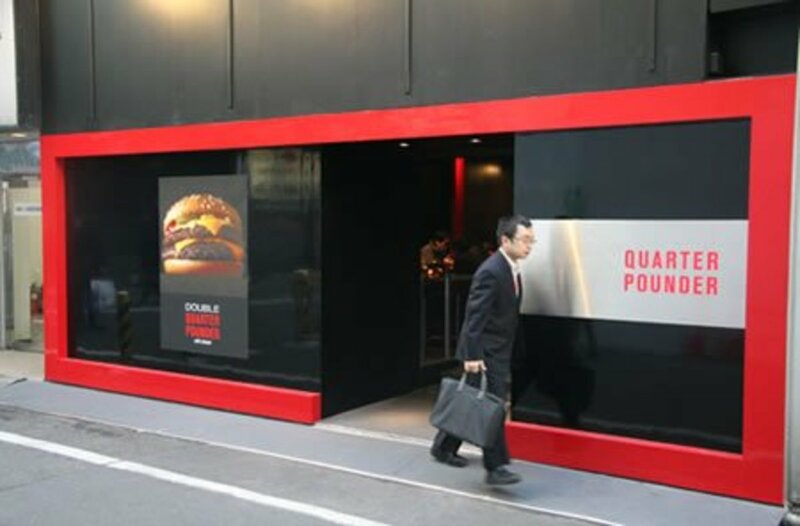 This is the first important key to McDonald’s success in Japan; their adaptability to international markets and tailoring of products to fit consumer demands. Along the same lines of tailoring menu items comes adjusting product size. I was shocked when I first came back to America for college and went to a fast food restaurant to eat where I noticed the enormous size of the drink containers. The large size fountain drink container at a McDonalds in Japan is much smaller than a large one here in America. Along with that, free refills in Japan are not usually allowed. One example of the size difference is shown in the number of calories in a large coca-cola. In Japan, that would be 181 calories. In America, a large Coke would be 310 calories. Clearly the American size has nearly double the Soda and calories in it. French fries seem to follow the same format of being smaller or less in quantity in Japan. All in all it appears that McDonalds in Japan has found that it is better to sell smaller portions of their food. One reason I suspect is because of the smaller size of the Japanese people. In any event, product size is a concern when dealing internationally (and perhaps in America too!). Finally, the atmosphere in a Japanese McDonalds is very different from that of the normal American McDonalds. I am not really sure what the cause of this is but McDonalds in Japan have become a popular hangout spot, more than just a cheap place to eat. Also, breakfast is a busy time for American McDonalds but in Japan, it is typically slow with few customers. I think that Americans see McDonalds as an in-and-out convenience-type store where cheap food can be quickly purchased. 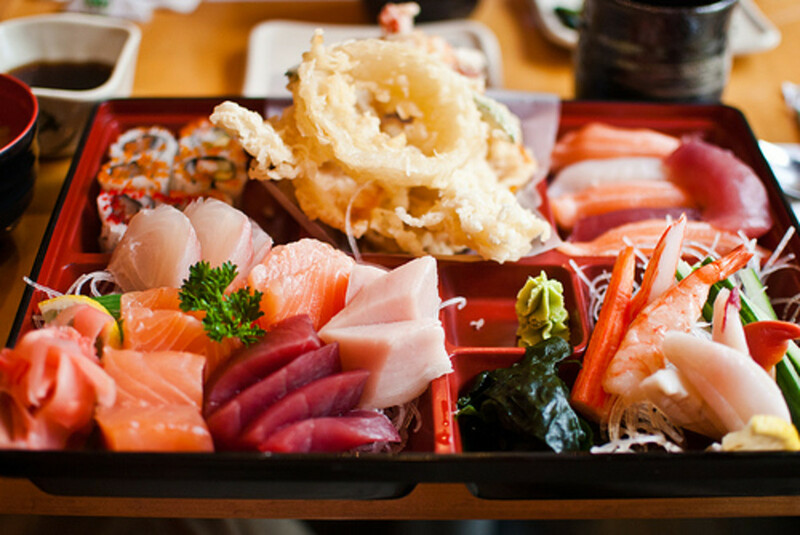 Japanese see it more as a restaurant, as a taste of what America might be like. Clearly, McDonalds in Japan will continue to succeed as long as it is a popular place to eat. American restaurants should try to follow the Japanese example. The addition of coffee beverages in American McDonalds is a step in this direction, encouraging customers to stop and enjoy their coffee. But it is hard to get away from being a fast food restaurant after so many years of being just that. In the end, I have become aware of the difficulties of international business. McDonalds has shown a unique example of ways to cope with changes in culture and consumer attitude. I think this is an important item for Americans to learn; that other cultures are very different and have unique demands. If someone doesn’t realize this, maybe they should just stop by a Japanese McDonalds and see what they can learn. 14 Totally Unique Restaurants in Oklahoma You Have to Try! What Is on McDonald's Hidden Menu? Why Is McDonald's Coffee so Good? Interesting hub. Even within the United States, offerings at McDonalds vary. When I lived in Maine years ago, they offered a lobster roll sandwich. I doubt that was available in all locations. I think that might be true! The sweet tea from Mcdonalds certainly comes in a huge cup! Kimberly Vaughn - Glad you found this interesting and thanks for stopping by! Ebi is Japanese for shrimp, so the Ebi Filet-0 is a shrimp patty sandwich. One of my favorites was the McPork. Very interesting hub! Voted up! What is an Ebi Filet-O? FSlovenec - Yes, I had some friends who would go to the Japanese McDonald's regularly just to get a taste of 'home'. FSlovenec - That's quite impressive you have traveled so extensively! And what a fun ritual to try the Big Mac in different places. Are there significant differences in taste depending on the country? I found the Japanese burgers to be similar, but they actually looked almost like the advertisement burgers. Thanks for stopping by! lanablackmoor - I am also impressed by McDonald's coffee! Much cheaper than Starbucks that's for sure! It was certainly eye opening the first time I tried ordering food in a Japanese McDonald's! Thanks for your comment! I'm absolutely addicted to coffee from McDonald's! I think you're right, more people are going to start going there to enjoy coffee, especially since they have WIFI now. This was a fascinating read. I had no idea there'd be such big differences between McDonald's in different companies, considering how uniform franchises tend to be. How cool to be able to say you've visited McDonald's in Japan! Thanks for sharing your experience. :) Voted up. ChrisMcDade8 - That is neat you have been able to experience this for yourself! It is a little eye opening when one realizes just how many subtle differences there are all around the world. Thanks for reading and commenting! I enjoyed your hub as I experienced a similar situation years ago when I spent a summer in France. While they had McDonalds, there were several differences, sometimes just subtle ones, but clearly an adaptation to the culture there. Thanks for your comment Connie and I am glad you found this useful! Thanks for posting this! I love to be educated!!! And yes we Americans really need to re-think about our portions in food. 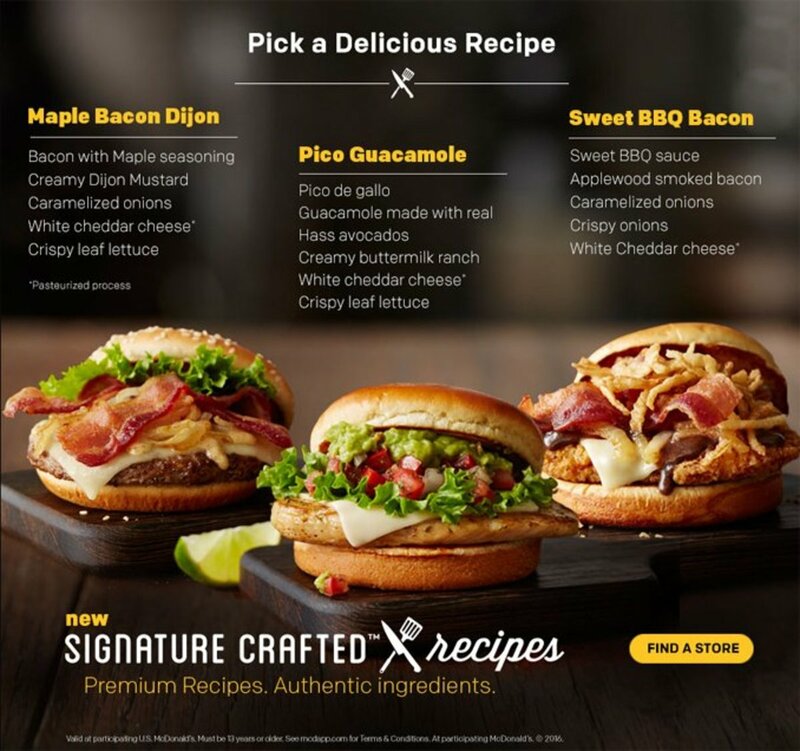 idigwebsites - Yes, it is a lot of fun to see what McDonald's has donein other countries, and how the culture has influenced the McDonald's menu. Thanks for your comment! Glenn Stok - Yes, I totally agree that McDonald's would benefit by taking some lessons from McDonald's in Japan. Thanks for visiting and commenting! I was always wondering how fast food companies such as McDonald's succeed in other countries. I found your hub very interesting and very informative. You did a great job at comparing the difference between McDonald's in America and in Japan. I really think that the American McDonald's should take after the lessons they learned in Japan, to some degree anyway. It would be healthier for Americans. howlermunkey - When I first moved to Japan, I thought it was the strangest thing to see McDonald's there. But they turned out to be pretty cool. Thanks for your comment and share! Ebi Filet-O and Teriyaki McBurger sounding Really good right now. Fascinating. Great facts too. Had no Idea McDonald's had been so aggressive in Japan.., I'm not surprised I guess, just fascinated. Very cool read, up and sharing. Letitialicious - A BBQ Burger sounds good! Now why don't American McDonald's pick up some of these ideas? Thanks for reading and linking! Wow, this is really interesting! I love the notion of Teriyaki burger. In France, where I live, McDonalds is doing a special BBQ burger. I'm going to link to it right away from a hub on my other subdomain, LetitiaFT. GoForTheJuggler - that's cool! 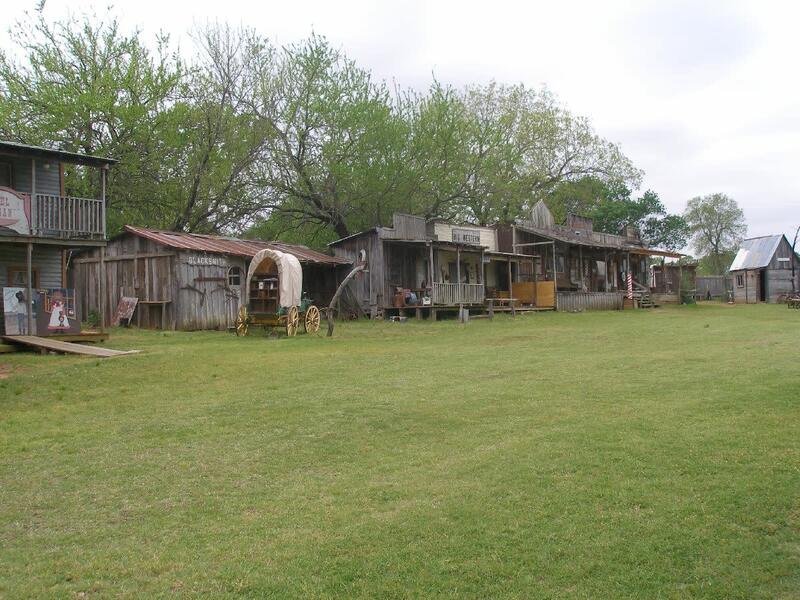 It is a great place to visit! Thanks for your comment! Interesting read. I've been a fan of Nippon culture for years, and I've always wanted to visit. Voted up! Thanks Marsei for reading! That's a funny story about going to Burger King in Geneva. I have had similar types of experiences while living in Japan. And that is very cool your sister was in Japan for a few months! Thanks for the comment! I enjoyed this. Always like reading about other contries and how they're different. My sister taught ESL in Japan for six months as part of her job at Lackland in San Antonio and loved it. My experience with fast food has varied in other countries, but I think the biggest difference was last year in Geneva. We decided to go to Burger King for a "cheap" meal. The building was huge, two stories and outdoor dining was provided. Very pleasant but nothing at all "cheap" about it. Of course, nothing is cheap in Geneva. I enjoyed this and I hope to learn to spear a fish or two on day! Voted up. RTailoni - Ha, McDonks is a great nickname for McDonald's! A McDonald's near where I lived in Japan was changed to look like the stylish one in the picture, and it was very eyecatching. I wonder if this would work in America? Interesting to learn about the differences between USA and Japan's McDonks. (Our daughter called them that when she was tiny.) Staying current while accommodating each culture in every country they are in does keep them ahead of the game! Like the stylish store front very much. Love the pic.! Great hub! Rob - When I first ordered a meal at a Japanese McDonald's, I was more than a little surprised! Thanks for stopping by! Very cool information. I've always known that McDonalds changes their menus to better accommodate different cultures, but that's really interesting about the differences in portion sizes. Awesome hub. jpcmc - yep, totally agree. Times are changing and companies must stay current if they want to continue to survive. Thanks for the comment! 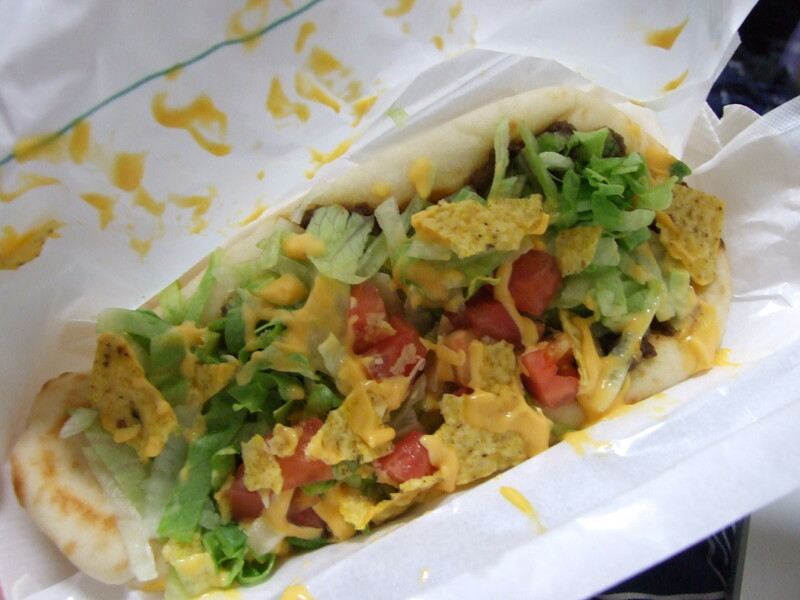 The fast food industry really needs to think quickly. With new competition sprouting everywhere, they have to be creative. International companies like McDonalds need to address specific market niches thus they create products designed for their market. This is where it becomes really creative!